AMAZING ST PETERS LOCATION & AMENITIES IN FORT ZUMWALT EAST!! 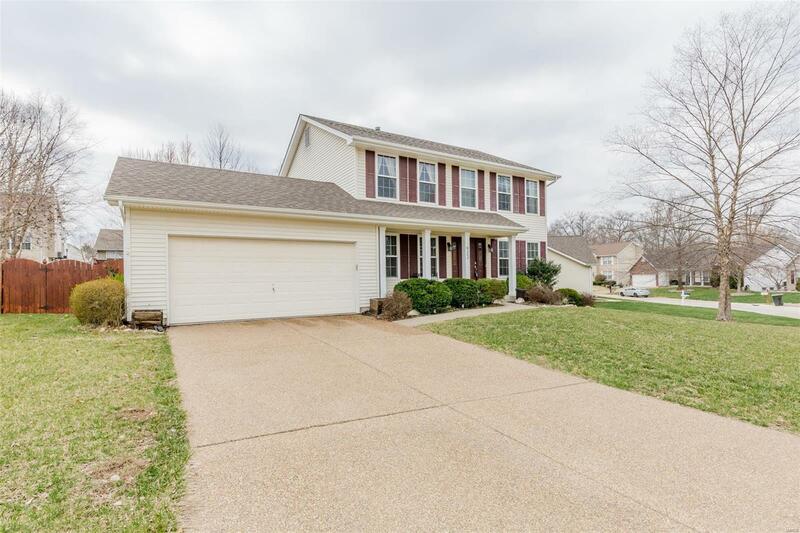 This home has 2700+sf living space including the partially finished lower level; Somewhat updated main level & baths in this 4bd 2.5ba 2sty in much desired Country Crossing Subdivision. Covered Porch leads to entry Foyer which divides the living /dining rooms both w/updated & freshly cleaned carpeting; The Kitchen has updated appliances, nice pantry, tile backsplash, breakfast bar adjoining a cheery bright breakfast area w/a newer sliding door to the two patios inside a private fenced lot w/stone fire pit, storage shed..The Kitchen adjoins a Great Room w/Bay Window; 1/2 bath & Main floor laundry just off Kitchen w/ceramic floors! Upper level w/4bedrooms, 2 updated baths w/updated granite top vanities, updated panel doors throughout; Roof '12, & ALSO-has partially finished lower level w/recreation area & another sleeping or office...w/lots of storage space as well...2car garage of course rounds it out..come take a look!